Like most business sectors in the UK, the farming community was divided in opinion over Brexit. The NFU officially campaigned to remain, while there were several vocal groups, such as Farmers for Britain, as well as hundreds of independent campaigners (including NFU members), who supported the Leave Campaign. The referendum has been and gone and it is not our intention either to stoke divisions or to give an opinion either way, but we have been asked recently about what we feel the impact of Brexit will be on British farming. So – with the caveat that these are still very early days – here are our thoughts about how Brexit may change the British farming landscape. A big concern for many farmers is that leaving the EU will close the door to the European migrant workers who make their business possible. This is no small matter, considering that migrant labour accounts for 20% of the total agricultural workforce in Herefordshire, with similarly large proportions in Lincolnshire, Cambridgeshire and Kent. The impact will depend on the extent to which the UK retains freedom of movement in its trade relationship with the EU. As most negotiators are in favour of retaining access to the single market, it is likely that significant freedom of movement will remain, as is the case with Norway and Switzerland. So farmers are likely to still have access to seasonal workers from Europe after we leave the EU. Beyond this, at this stage, we cannot comment. However, the UK farming sector is in the process of a massive investment in new machinery and automation that is steadily reducing its dependence on unskilled manual labour. The recent cut in Bank of England interest rates to 0.25% will make investment in technology more accessible to more farmers. Another concern is that British farmers will be penalised by tariffs when exporting goods to Europe, and will thus be outcompeted by French, Spanish and Eastern European farmers in the European market. Again, whether or not British exports are subjected to tariffs depends on whether we continue to retain access to the European Single Market. Early indications suggest that we will – although this is not a foregone conclusion. However, even in the worst-case scenario, agricultural exports would only be subjected to tariffs of 4%. This could easily be eliminated through a government subsidy. At the same time, the devaluing of the pound by 15% following the referendum has made UK farming exports far more competitive. The IMF had previously estimated that the pound was overvalued by up to 18%, which was inhibiting growth. Britain’s agricultural sector will therefore easily be able to compete with European competitors, even without membership of the Single Market. The European Union is presently the source of some subsidies to British farmers, which will cease when we leave the EU. However, farmers have divided opinions about how beneficial subsidies issued under the Common Agricultural Policies (CAP) really are. For instance, at the moment Britain pays a lot more to the EU in agricultural subsidies than it receives back. British farmers are the beneficiaries of only 7% of European farming grants, as opposed to 17% that go to French farmers, 13% to Spain, 12% Germany and 10.6% to Italy. British contributions to the CAP are therefore directly funding competitors in European countries. 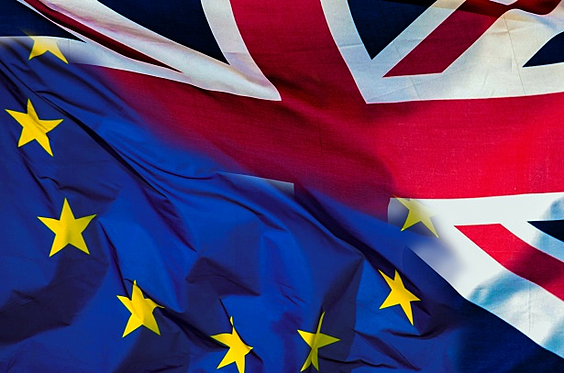 A strong argument can be made that ending EU contributions will open the way for a British Agricultural Policy that is structured around the needs of the UK farming sector, rather than that of European farmers with very different requirements. Very closely linked to the question of subsidies is that of the political influence of the agricultural sector. For many years, British farmers have experienced frustration as a result of regulations created at the EU level. It can be argued that many of these rules are detrimental to the UK farming sector, especially to small farmers. For example, the requirement that all farmers leave 7% of their land untouched is problematic for small producers looking to achieve maximum productivity from their property. Furthermore, the three crop rule places a financial burden on farmers and makes it difficult to respond to consumer demand, reducing competitiveness. After Britain leaves the EU, organisations such as the NFU will be able to directly lobby Westminster and will have a lot more influence than they currently do in Brussels. UK politicians will be better positioned to understand the requirements of the agricultural sector and set rules and subsidies to a level that encourages growth and enterprise. As touched on previously, the responsiveness of UK agriculture is sometimes restricted by EU regulations. Some farmers therefore find themselves in the bizarre situation of having to spend time and money cultivating crops for which there is no commercial market, or for markets that are oversaturated. Brexit will begin a conversation between farmers and policymakers that will hopefully enable farmers to respond more effectively to market demand. This may see a greater diversity of crops and animals being reared, better deals being made with supermarkets and higher profit margins for farms. Ultimately, the most important thing to remember when considering the impact of Brexit is that, at the time of writing, nothing has changed. Britain remains a fully paid-up member of the European Union and British farmers have unimpeded access to the single market. This is going to be the case for at least two years after negotiations begin. While we can’t currently predict the sort of trade agreement the UK will establish with the European Union, we believe we are justified in having complete confidence in the UK agricultural sector and the potential of British farmers to make a success of whatever settlement arises. The UK agricultural sector leads the world in terms of productivity, environmental standards and technological innovation. So, to reuse an oft quoted phrase, keep calm and carry on – investing, trading, expanding your farms and growing world-class produce.